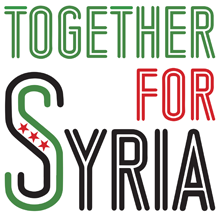 Protest called for Sunday 22nd March, 2-4pm, US Embassy London, in response to the latest chemical attacks by Assad’s air force. 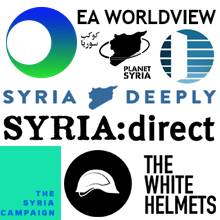 These attacks violate three UN Security Council resolutions: UNSCR 2118 and UNSCR 2209 on chemical weapons in Syria, and UNSCR 2139 which demanded an end to barrel bomb attacks on civilian-populated areas. 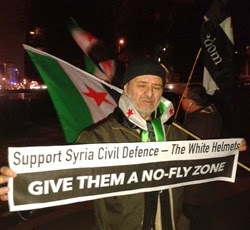 Above images: 17th March London protest outside the US Embassy. 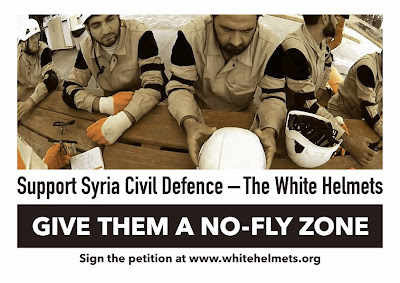 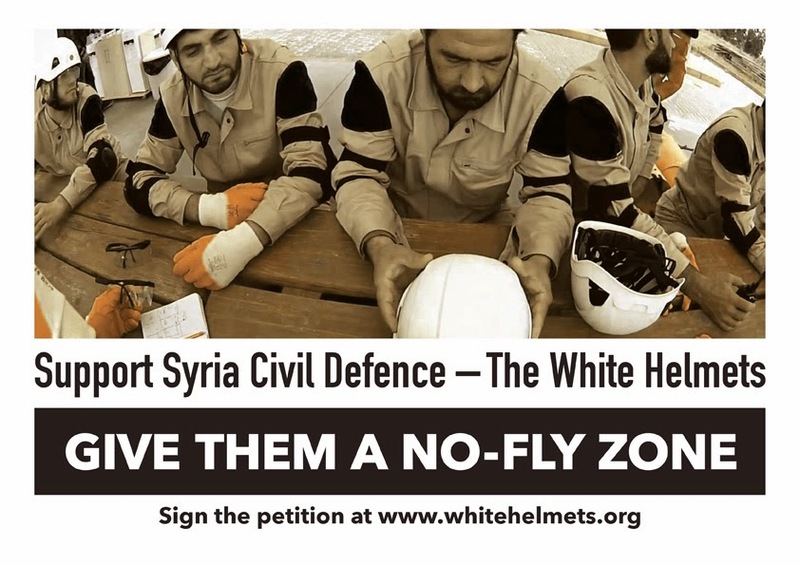 Following the 16 March attacks, Syria Civil Defence, also known as the White Helmets, have called for the imposition of a no-fly zone in Syria to stop further air attacks on civilians by the Assad regime.You can sign a petition in support on their website, www.whitehelmets.org. 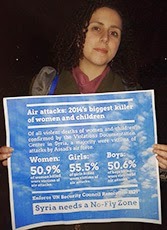 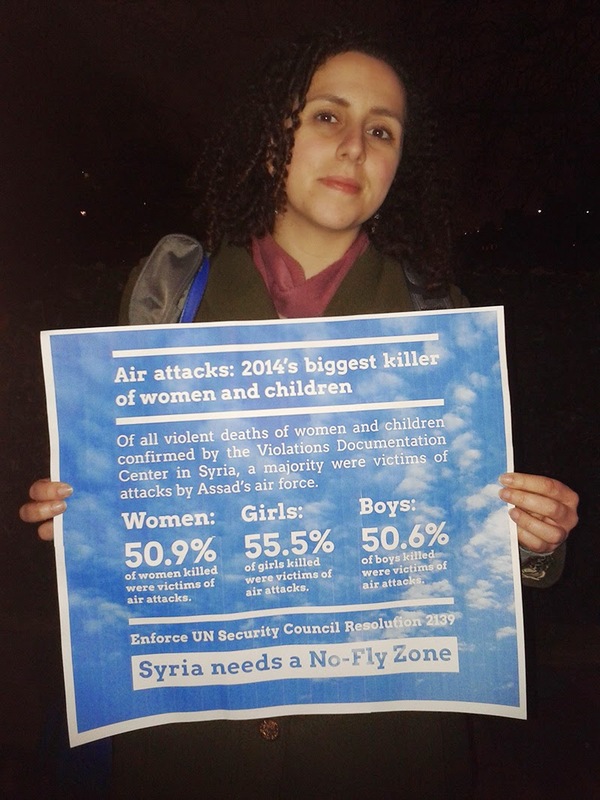 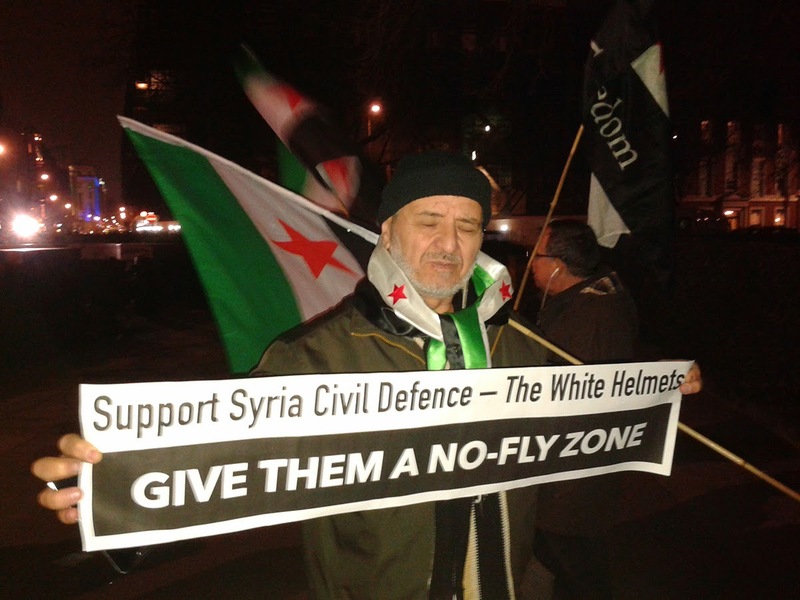 See the syria2015.org.uk site for more on our 4th Anniversary March demand for a no-fly zone.